When you include those centrally funded and locally delivered projects, this government is spending more per head on transport in the northwest than we are in the southeast. There is a widely held view, fuelled by the media, that the north of England is hard done by when it comes to transport spending. 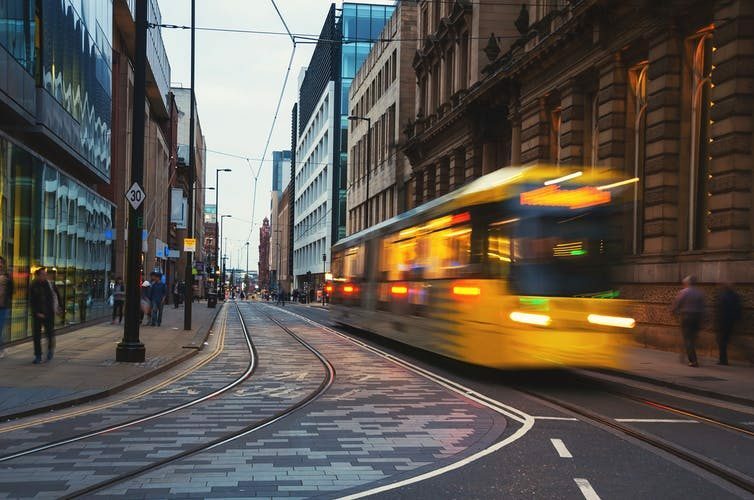 Over 70,000 people recently signed a petition to the transport secretary, Chris Grayling, calling for more investment in transport in the north. Grayling has responded by saying the figures used to make this assessment are misleading, and that the northwest region now receives more transport spending than the southeast. The issue of transport spending is awash with statistics. A recent House of Commons document confirmed that public spending on transport in absolute, per person and modal average terms is higher in parts of the north than in the southeast region outside London but not in the capital itself. In the 2015/16 financial year, transport spending per person was £401 in the northwest, £380 in Yorkshire and the Humber, and £299 in the northeast. For the southeast, it was £365 per head, while for London it was £973. The think tank IPPR North has estimated that from 2016/17 onwards, the figures will be £680 for the northwest, £190 for Yorkshire and Humber, and £220 for the northeast. The southeast will get £226 and London £1,040. So Grayling is right to say the northwest is doing well right now compared to the southeast (not including London), which is receiving similar amounts to the other northern regions. But this ignores the fact that London still receives far more than any other part of the country. The problem with these kind of figures for individual years is that they can skew the overall picture of spending. For example, money for large infrastructure projects such as Crossrail in London and the southeast, and Manchester’s Metrolink programme, tend to be allocated to the particular years when the projects are completed. Looking at all the spending data over a longer period of time is a better indicator of the gap between north and south. In terms of total transport spending, the southeast has actually received 13% more than the northwest since 2011/12. And looking at bus and rail services, London has received over five times more public spending in the last five years than the northwest. But the real picture is even more complicated than this. Transport infrastructure in London is not just for Londoners. Many people in the southeast benefit hugely from London transport spending, especially those who commute in every day. Yet people from elsewhere in Britain also benefit when they visit, as do millions of international tourists. London is very different from the other English regions, with much greater population density and a more mobile workforce. Its transport serves a different, wider purpose and also benefits from local government funding because of devolution. So a like-for-like comparison is inherently misleading. The government’s recent budget has also gone some way to further reducing the north-south divide. The northeast will receive £337m for new rolling stock on the 40-year-old Tyne and Wear Metro network. Greater Manchester has been promised £240m to ease road congestion. A £1.7 billion fund will improve links between city centres and suburbs across the country. But the lack of news about the much-needed modernisation of the Manchester to Leeds transPennine route put on hold earlier this year is very disappointing, and Leeds still desperately needs a new mass transit system. It might come as a surprise for those in the northwest and Yorkshire to hear that they get about the same amount of transport spending (or more) than the southeast, but at the moment it is technically true. The northeast, meanwhile, remains the poor relation in every measurement of spending. But these simple facts don’t take account of the much higher spending in London or the very different circumstances by which this money is allocated. This is a comprehensive review of current transport investment and expenditure, well illustrated by published data. It can be difficult to separate data from political spin and government PR, which have the unnerving tendency to portray funding that has already been allocated as if it were newly announced. But the underlying premise of this article that transport investment in the northwest and Yorkshire has increased is well made. I take greater issue with the conclusion that recent announcements have gone some way to further reducing the north-south divide. As the article illustrates, long-term investment is a better indicator, and the north still has some considerable catching up to do. The new projects are only a first step. I would also describe the lack of progress towards a modernised and reliable transPennine rail route as more than disappointing, given that it is an essential investment for future economic growth in the north. While I also accept that London is different, I think the benefits of the capital’s transport links to the other English regions can be easily overstated.